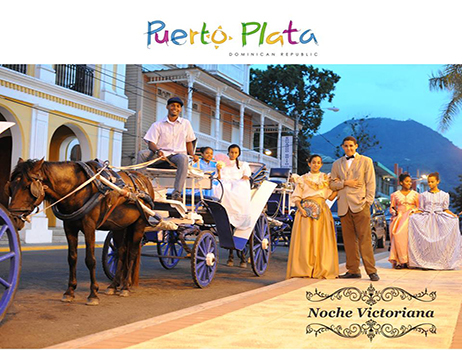 Puerto Plata is the largest and most important city of the north coast of the Dominican Republic. Founded in 1502, is one of the most important sights of the country. Dozens of hotels line along its coast and receives many thousands of tourists visiting the Dominican Republic. 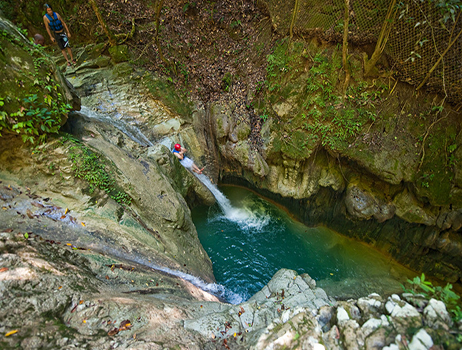 Puerto Plata is popularly known as the Amber Coast. This coast is full of the fossilized plant resin and the city has one of the most important museums in the world of Amber: The Amber Museum of Puerto Plata. Similar to the capital Santo Domingo, Puerto Plata has a seafront Malecon ( ocean drive ) more than 6 miles long. At one end is the fort and the fort of San Felipe, one of the first in America and best preserved in the present day. Built in the sixteenth century to defend the island from enemies is now an interesting museum that houses an exhibition of historic photographs, weapons and cannons used in battle for independence. Puerto Plata is also famous for its rum, and more specifically the Brugal rum factory which is located in the city. Brugal Rum Factory is one of the oldest in the country. Founded in 1888, it was founded and managed by the Spanish Andres Brugal, and today it bottles more than 360,000 liters of rum per day. The Brugal rum is dry and delicious. Every day the export percentage is higher and consumption increase is more common in Latin America, the United States and Europe. Puerto Plata also has a Corcovado similar to the one in Rio de Janeiro. The 16 meter high statue of Jesus Christ is at the top of the Isabel Torres mountain. This is a nice trip we recommend to do. 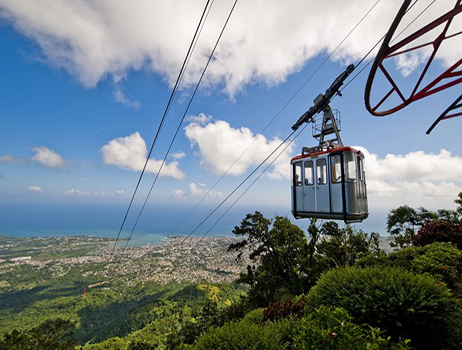 You can climb to the summit by cable car and from there enjoy a fabulous panoramic view of the bay of Puerto Plata. Puerto Plata is a very clean and orderly city. In its center visitors find the Cathedral of St. Philip the Apostle. Beside her there`s the Independence Park, a beautiful and nice park pride of all the inhabitants of this city. 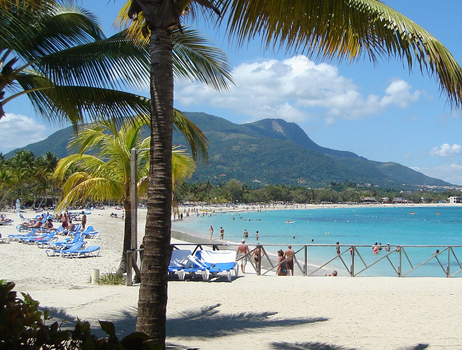 The main towns on the coast of Puerto Plata are Sosua, Cabarete, Cofresi, and Costambar. 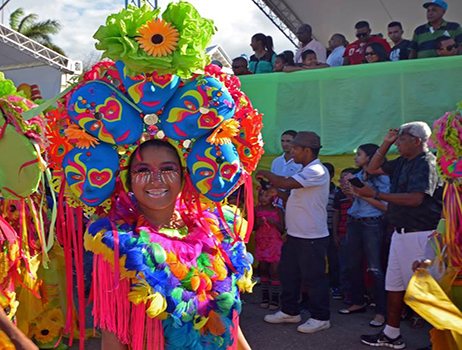 Before the 1980`s, this Atlantic town was little known to the international public, though after the tourism boom it became the first and most visited tourism spot in the Dominican Republic. Today, Puerto Plata has seen a lot of investments in private villas and condos in its oceanfront and beach shores, mostly purchased by foreigners who partially live in Sosua, Cabarete and Cofresi. This has led to the informal creation of a somehow large vacation rental market in the area. It is believed that if most large hotels get replaced by villas, the area might be a large residential complex stretching from as far as Cabrera and ending in Maimon near Cofresi. 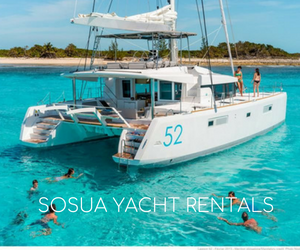 Sosua villa rentals are a vital part of the region`s economy, driving many tourists from the United States, Canada, France, Italy and other regions. 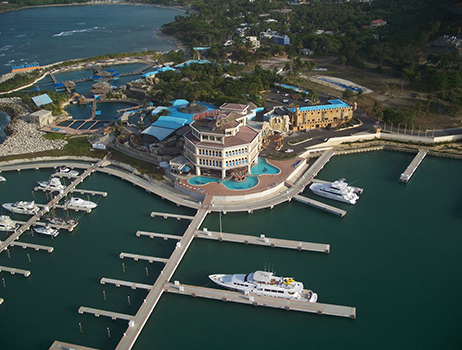 Real estate in the Dominican Republic has remained stable despite the economic issues facing the world economies.